The Carnival King PM8CART cart is the best way to prominently display your Carnival King PM850 8 oz. popcorn popper while adding mobility to the popping unit. Designed for indoor use, this cart is ideal for locations with limited counter space. 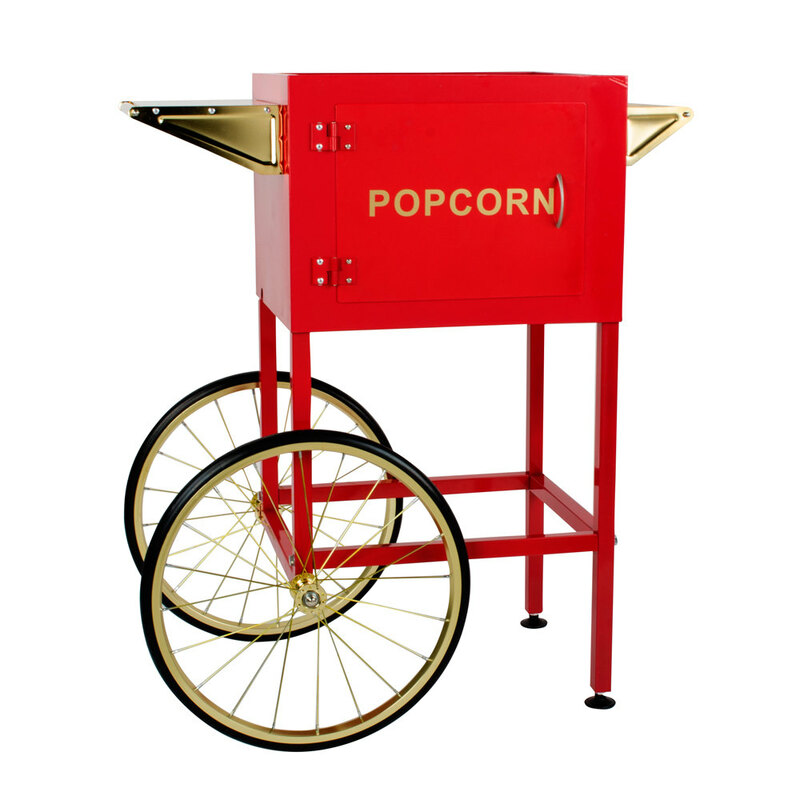 The brightly colored cart provides an eye-catching display when paired with your illuminated popcorn popper. This unit securely fastens to your existing popper, creating a secure placement. With its sturdy side handle and dual 18" rear wheels, this unit not only looks great, but also provides the versatility to move your machine for cleaning and routine maintenance! Two adjustable, non-marking feet are also included to keep your cart level on any surface. This PM8CART cart comes standard with a side shelf to conveniently hold scoops, popcorn cups, or any other necessary supplies to help make your popcorn sales soar! Plus, the inner cabinet offers even more storage capacity. It's covered by a door with a magnetic clasp for a clean, professional look all around.